The term “Truth Claim” is formally known as a proposition or statement that a particular person or belief system holds to be true. Within the realm of photography, this term challenges the belief that traditional photographs accurately depict reality (Tom Gunning). Further, Gunning states that truth claim relies on both the indexicality, or the physical relationship between the object photographed and the resulting image, and the visual accuracy of photographs. This exhibition expands on these concepts by presenting artwork in a variety of different media that incorporate photography, but also evolve from it. 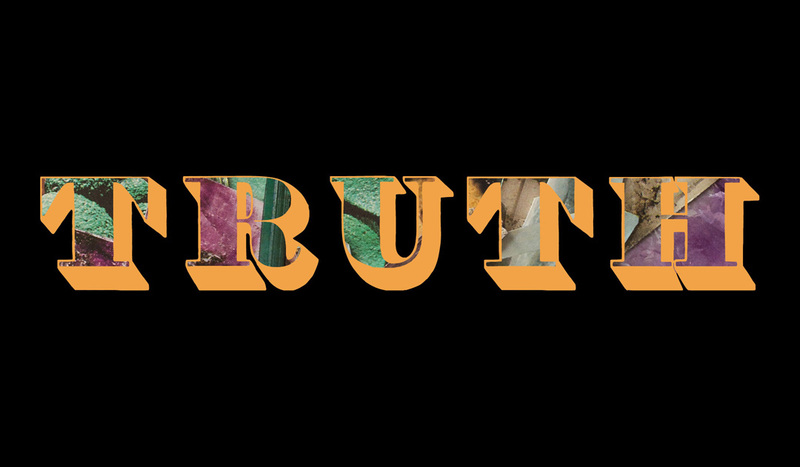 Each artist in TRUTH CLAIM contributes artwork that in some way pushes, pulls, cuts, abstracts, clarifies, elaborates upon, and explores the medium of photography. Light, sound and objects highlight the physical properties of photographic components by distilling the medium in order to extract its essence. 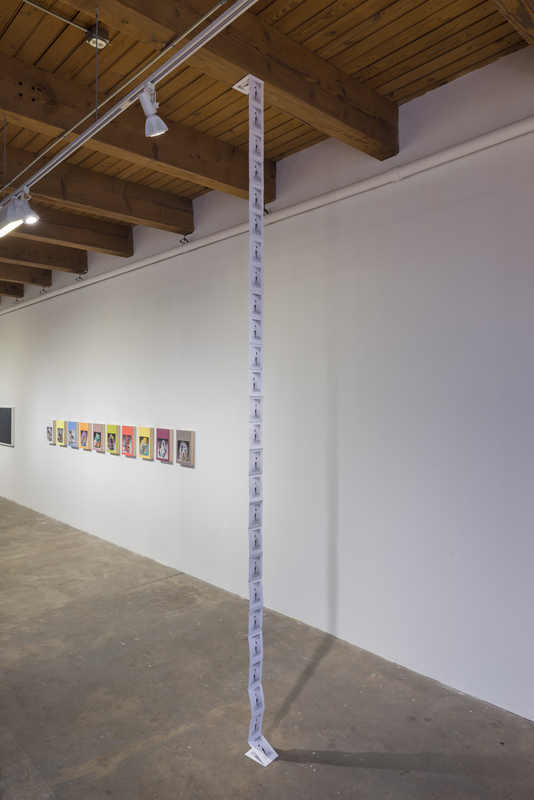 The traditional formats of both analog and digital share equal footing with found images and physical materials that re-consider objecthood versus subjecthood. Here, the philosophical condition of what the truth is hinges on the concept of perception as a tool to measure veracity. This challenge to convention then sets the stage for a re-definition of a medium revealing how the artist’s hand is both limited and limitless in its ability to fool the eye while suggesting ways in which images may reflect truth beyond what they depict. What happens to the integrity of an image when it is unbound from its original form? 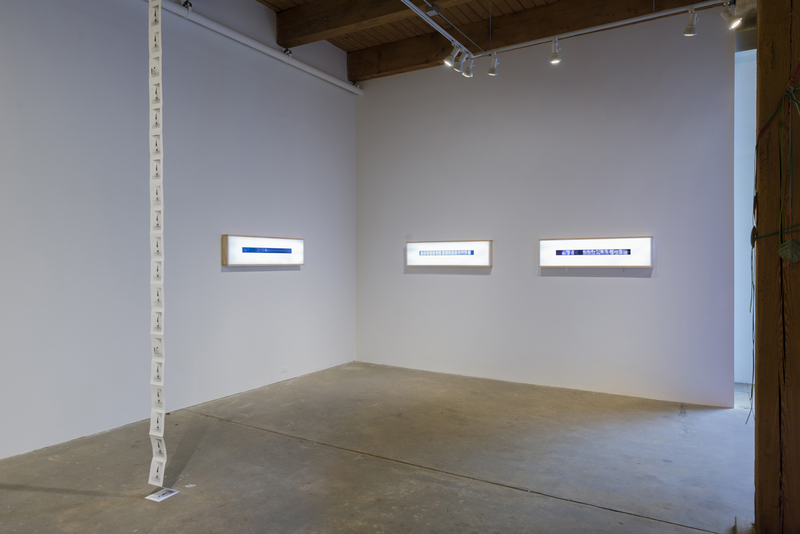 Kioto Aoki’s (Chicago) light boxes and sculptural accordion books push and pull analog modes of image making into alternative representations. Aoki’s self-reflexive imagery, with the artist both in front of and behind the camera, explore modes of perception, particularly in regards to movement and the nuances of time, light and space as universal experiences. 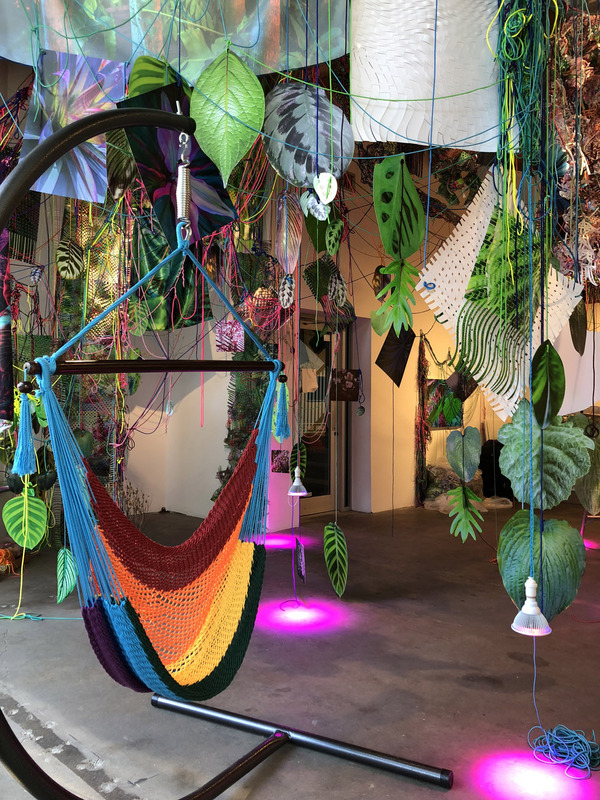 Aimée Beaubien (Chicago) creates colorful floor to ceiling installations made from her cut-up and woven back together photographs taken of gardens, which are interspersed with organic material, magenta grow lights, paracord and functional hammocks. This immersive environment emphasizes the role that a photograph has as an integral part of a larger concept as an experiential function of discovery. 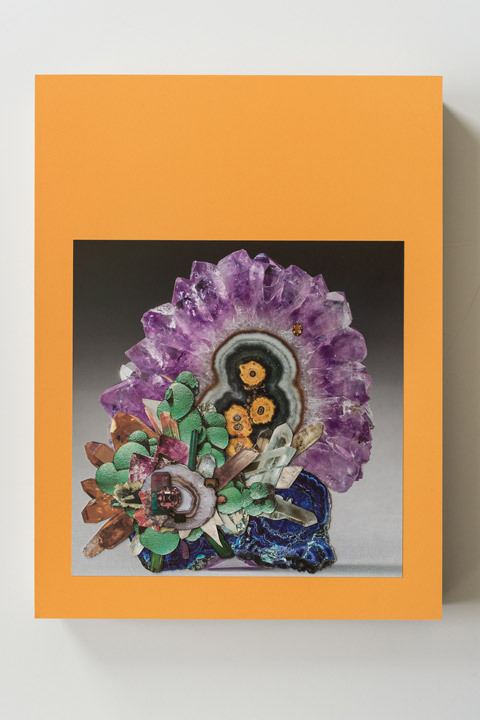 Stephen Eichhorn’s (Chicago) series of found cut-out natural minerals offers a new consideration of nature and the elements that comprise the current Anthropocene era. Recomposed and delicately arranged on colorful monochromatic pantone paper, Eichhorn’s compositions are built in a manner that belies their origins while amplifying their re-presentation to suggest a sensation of nostalgic wistfulness. 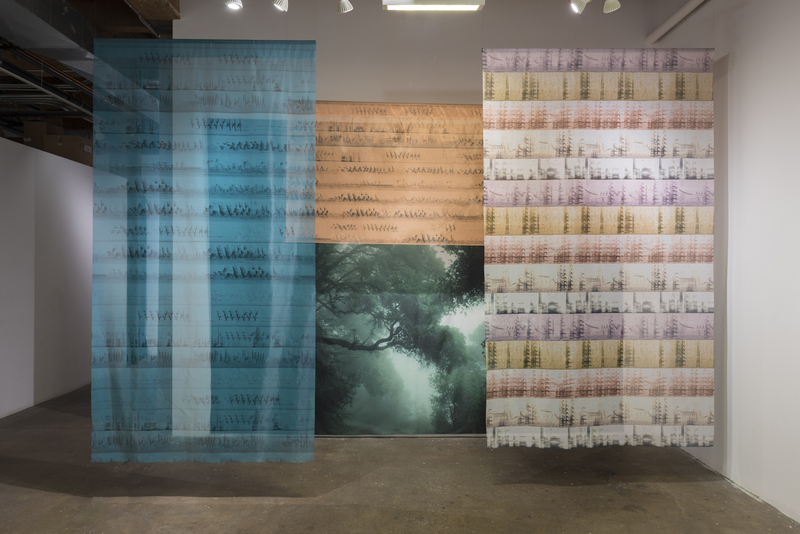 Alice Q. Hargrave (Chicago) combines enhanced traditional nature photography, archival sounds of endangered birds and the sound wave recordings of those birds printed on large swaths of silk. 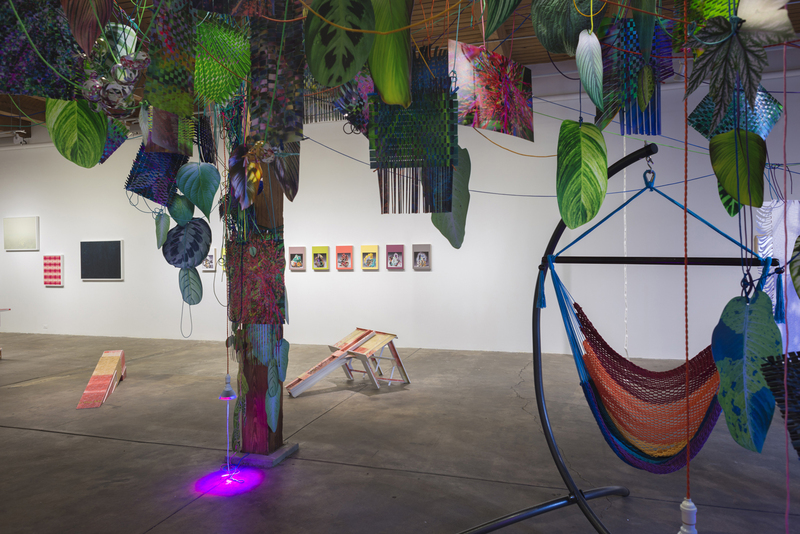 This mediated environment within the gallery setting creates a visceral moment that simultaneously suggests the inevitability of impermanence and a connection with the world around us. 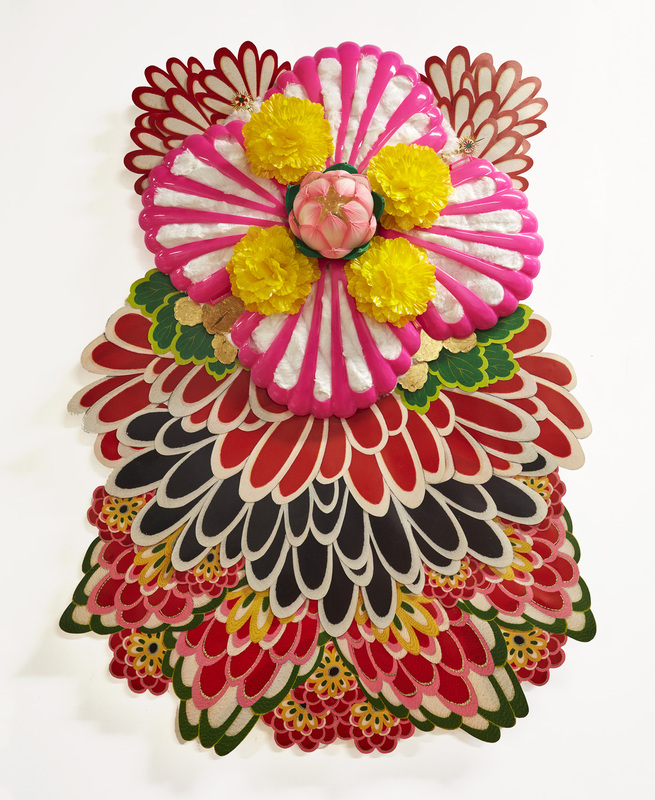 Mayumi Lake’s (Chicago) wall relief sculptures are autobiographical representations of a cultural belief system of a mythical Tibetan flower that symbolize the time where soul floats between life and death. 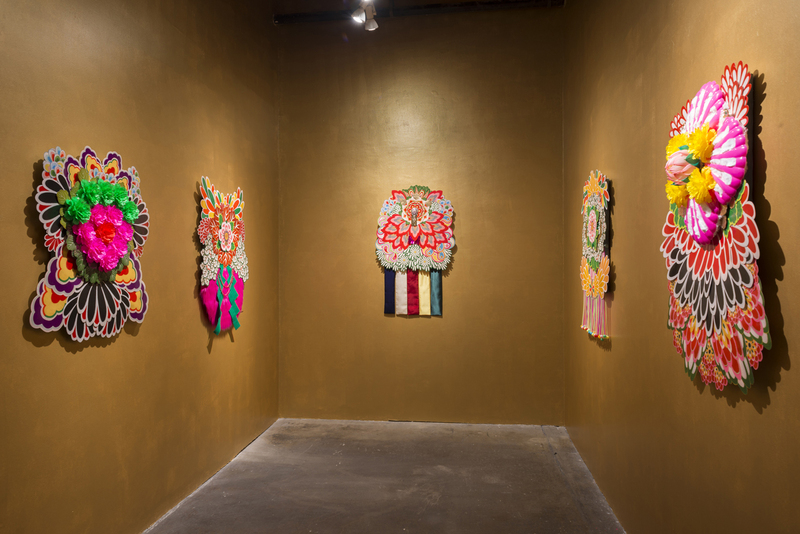 Using scanned and printed elements of vintage Japanese girl kimonos that are augmented with hair, plastic toys and flowers, sequins and imitation gold leaf, these “blossoms” incorporate low-tech processes with personal, albeit, celebratory effect. 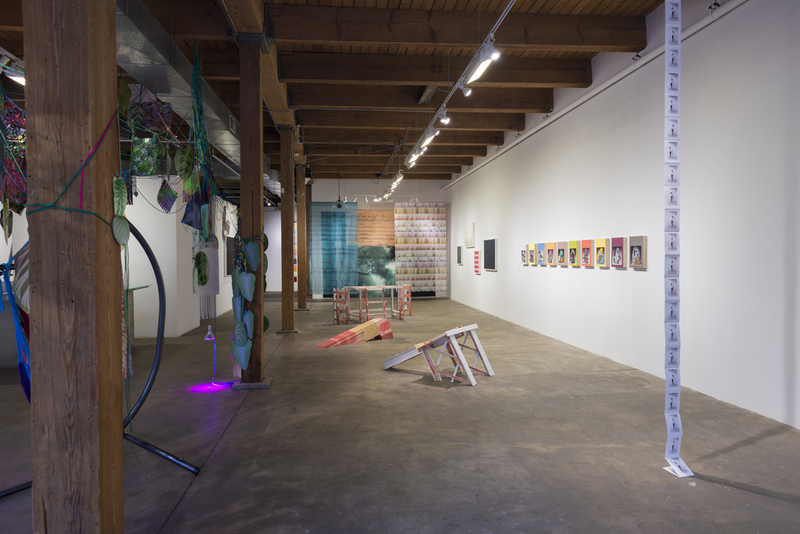 Barbarita Polster (Chicago) conceptually collapses photography, performance, video, language, and architecture into and onto sculptural forms in order to tackle the concept of thought production and it’s relationship to physical spaces within the human perspective. Ultimately taking the form of utilitarian structures (a fire escape, L platform lattice, tower crane), these foamcore “models” encourage interaction while questioning the power of inaccessible systems. Kioto Aoki is a conceptual photographer and experimental filmmaker who also makes books and installations engaging the material specificity of the analogue image and image-making process. Her work explores modes of perception via nuances of the mundane, with recent investigations focusing on perceptions of movement between the still and the moving image. Aoki received her MFA and BFA from The School of the Art Institute of Chicago and is currently a 2017-2018 HATCH artist in resident at the Chicago Artists Coalition. Aimée Beaubien is an artist living and working in Chicago. Her sculptural photo-based collages explore collapses in time, space, and place, while engaging the complexities of visual perception. Solo and two-person exhibitions include oqbo galerie, Berlin Germany; Gallery UNO Projektraum, Berlin, Germany; The Pitch Project, Milwaukee, WI; BOX 13 Artspace, Houston, TX; Johalla Projects, Chicago, IL; and Demo Projects, Springfield, IL. 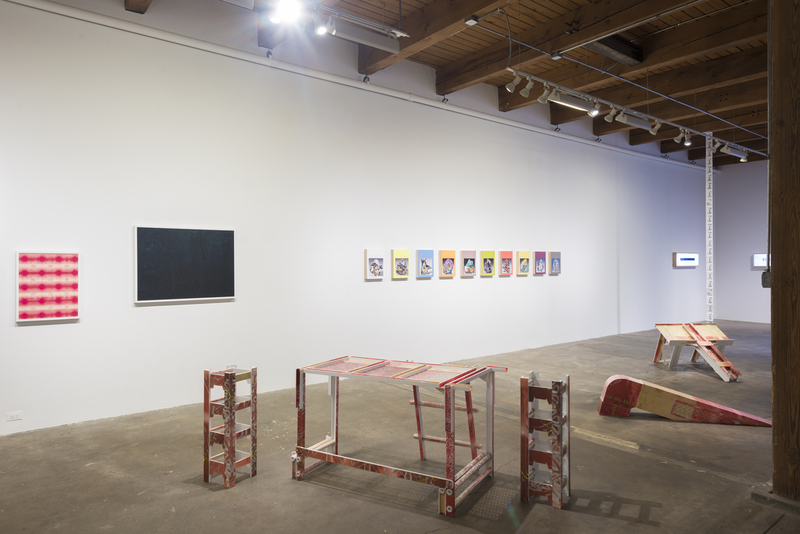 Group exhibitions include Museum of Contemporary Photography, Chicago, IL; Evanston Art Center, Evanston, IL; Bikini Berlin, Berlin, Germany; and Antenna Gallery, New Orleans, LA. 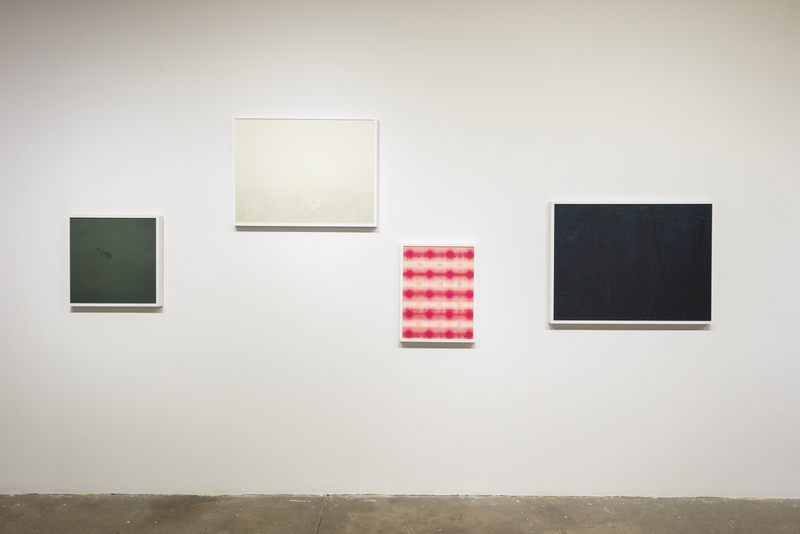 Her work has been reviewed in publications such as Art in America, Art on Paper, and Art Papers. Beaubien is Assistant Professor of Photography at the School of the Art Institute of Chicago. Alice Q. Hargrave is a photographic and video artist based in Chicago. Her research-based work reflects on the notion of impermanence: environmental insecurity, habitat loss, and species extinctions. 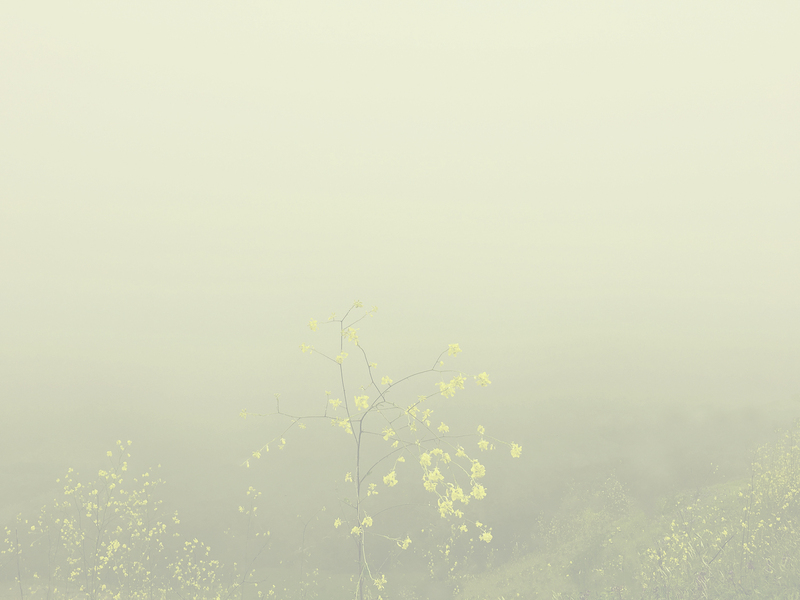 Paradise Wavering (Daylight Books 2016) and it’s accompanying solo exhibition traveled to multiple venues including The Hyde Park Art Center Chicago, University Galleries at Illinois State University, Gallery 555 Boston, The Center for Fine Art Photography Fort Collins CO and Pictura Gallery Bloomington IN. 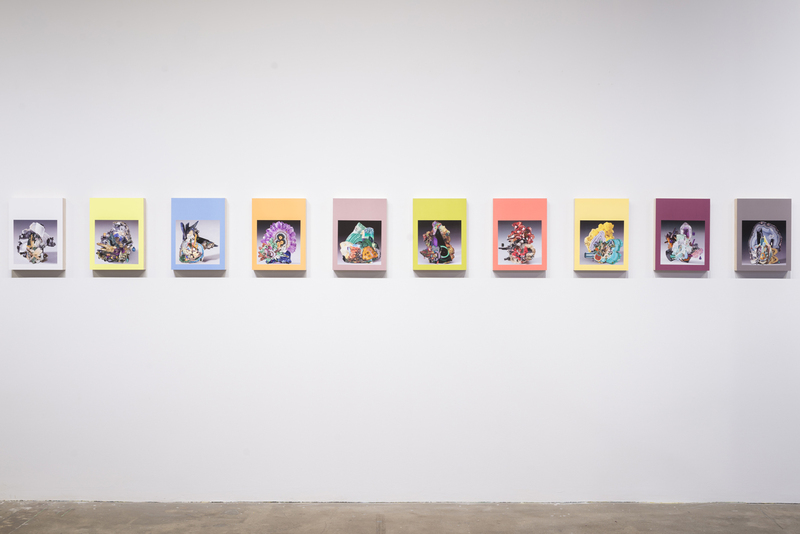 Hargrave’s work is included in several permanent collections such as The Museum of Contemporary Photography, The Art Institute of Chicago Artist Book Collection, The Ruttenberg Collection, Nuveen Corporation, and Hyatt Corp. Her work is exhibited widely: The Museum of Contemporary Photography, Yale University Art Gallery, The Smart Museum, The Tweed Museum of Art MN, Art Metz, France, The Griffin Museum of Photography MA, 516 Arts Gallery Albuquerque NM, Newspace Center for Photography Portland OR, among others. She has received many awards, been published and reviewed in several journals such as Huffington Post, BBC News, and Artnet. She received a University Fellowship to obtain her MFA from The University of Illinois, Chicago. Hargrave is currently a professor at Columbia College Chicago. Mayumi Lake (b. Osaka, Japan) is an interdisciplinary artist, whose work delves into childhood and pubescent dreams, phobia and desires. She employs herself and others as her models, as well as dolls, toys, weapons, vintage clothes, and altered landscapes as her props. She has exhibited nationally and internationally, and has published 2 monographs from Nazraeli Press. Her work is in the permanent collection of the Art Institute of Chicago, The Museum of Fine Arts, Huston, Asia Society, Joy of Giving Something Foundation, and more. Lake received her BFA with a focus in Photography and Filmmaking and an MFA in Photography from the School of the Art Institute of Chicago. 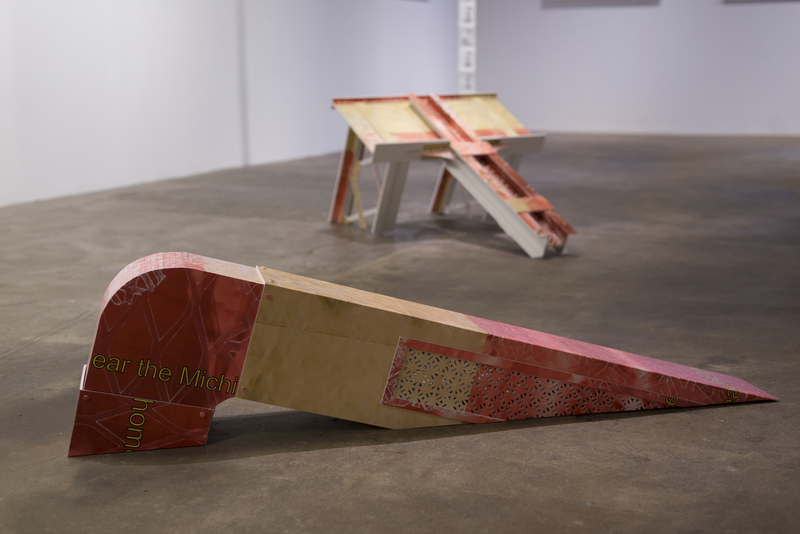 Barbarita Polster (b. Cleveland, OH (1987); l. Chicago, IL) is an artist who loosely draws upon her own multiracial background to inform questions of the unassimilable and ontologically complex, using speculations of physical space as a model for these concerns. 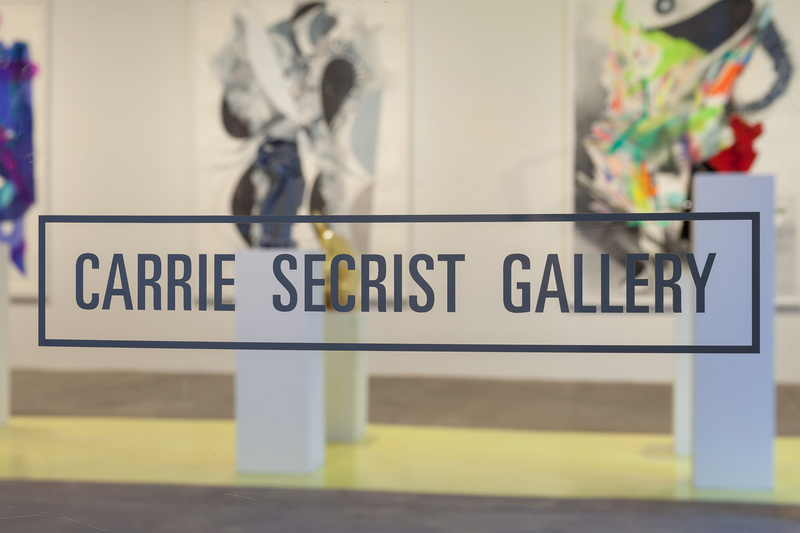 Recent solo exhibitions and performances include: Critical Practices, Inc., New York, NY (2018), Sharp Window, School of the Art Institute of Chicago, Chicago, IL (2018), GLASSBOX gallery, Seattle, WA (2016); Forum Artspace, Cleveland, OH (2016); and William Busta Gallery, Cleveland, OH (2014; 2013). 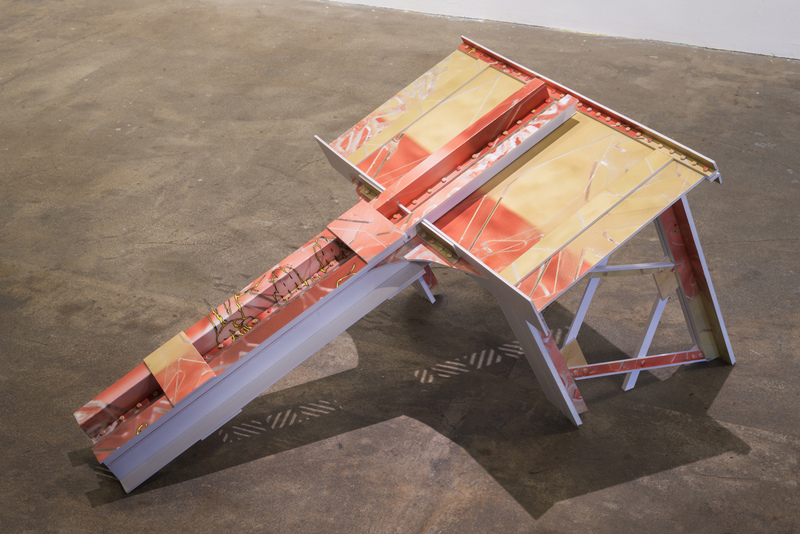 In addition, she has participated in numerous group exhibitions, including exhibitions with Field Projects Gallery (NYC) at Tiger Strikes Asteroid’s Artist Run – Satellite Miami, Punch Gallery (Seattle), AIR Gallery (Brooklyn), and the Cleveland Museum of Art. She was awarded the Museum of Contemporary Art Cleveland Neznadny + Schwartz Visiting Curator Selection by João Ribas, Deputy Director & Senior Curator, Serralves. In 2016, she was the recipient of a King County 4Culture Tech Specific Grant. Polster received her MFA in 2018 from School of the Art Institute of Chicago and a BFA in 2010 from the Cleveland Institute of Art.